The last term before the arrival of summer, Kokuu is the term when we expect adequate amount of rain enough for plants to grow. It is not yet the rainy season though we have a word ‘Natane-tsuyu / 菜種梅雨’, meaning continual amount of rainfall from end of March to early April when ‘Natane / 菜種’, the rapeseed flowers bloom. The term is now a little late now from ‘Natane-tsuyu’ but the given name to it and the name given to this term may reflect the impatient feelings of our ancestors who ought to have hoped for the right amount of rain which reflected the result the crop yield in autumn. 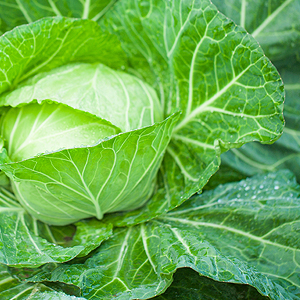 Spring at this time of the year nourishes the growth of fresh greens…. Kokuu consists of two kanjiWs, the grain and the rain, simply telling us the rain we have at this term is the rain for the grains. When ShintoW priests, Buddhist monks, Emperors and Shoguns of the past in Japan prayed for the rich harvest, the most used word should have been ‘Gokoku-houjou / 五穀豊穣’. When we look up the word in Japanese-English dictionary, it is usually translated as ‘bumper crops’ or ‘huge harvest’ which is absolutely what the word means but if you take a careful look at the kanji, the word starts with ‘五 / go’, meaning five. The next kanji you see after ‘go’ is ‘koku’ which is the same kanji used for this term, Kokuu / 穀雨, the grain. Yes, we are sure by now that you are realising that the Japanese for ‘huge harvest’ has something to do with the five grains. Spring cabbages, fresh with rain drops. 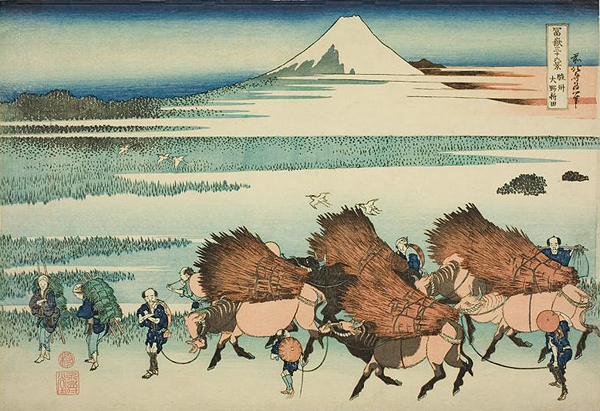 Unlike today when rice farming can be done in most areas in Japan after the rice breed improvement and soil amelioration, other 4 grain plants as wheat, millet, barnyard millet and beans were most important in places where rice couldn’t be planted until mid Edo periodW as a replacement of money when monetary system like Tokugawa coinageW became general term among common people. You would know that the size or the power of feudal domains of Edo period were indicated as ‘Koku / 石’ which is a measurement also used to indicate the weight of the grains which came from the crop yield each domains produced. 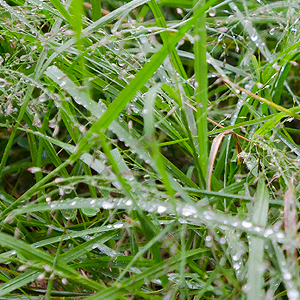 The rain at this time of the year as well as the sunshine is an important element for the five grains; rice, wheat, millet, barnyard millet and beans to grow. The name of the term expresses the reality and hope of the nature which should bring good harvest in autumn. Apart from ‘Natane-tsuyu’, expressing the earlier continuous rain, we have names like ‘Zuiu / 瑞雨 (good omen rain)’, ‘Kanu / 甘雨 (sweet rain)’ and ‘Saikau / 催花雨 (flower encouraging rain)’ to express the blessed rain at this time of the term. Again, it’s the ‘hajimete’ season for something. Since it’s spring, many animals and plants are at their ‘hajimete – for the first time’ and today, we will be talking about ‘Yoshi’. Yoshi is a Japanese for common reedW which can be found at the edges of water, by the rivers, ponds and lakes of Japan. Like in many other countries where reeds grow, this plant has been a timber-sort, used to roof the houses, woven into sun blind screens now as formerly and building boats in ancient days in Japan. It was one of the annual function for the farmers who lived near the rivers, ponds and lakes where Yoshi grew to mow the Yoshi after the rice harvesting when Yoshi was more the necessity of their daily living, mostly used to roof their new roofs before the cold winter comes. Now that most of the houses in Japan are not roofed in Yoshi, it is hard to find experts who can roof with Yoshi. There are still some houses in the countryside where house-roofs are Yoshi. ‘Yoshi’, the common reed sprouts seen by the water. Photo from Miyazu Eco Tour Official Site, a site where you could ask for a nature tour guide in Miyazu-shi, Kyoto. So, it’s Yoshi that’s going to ‘shozuru’ for the first time in this season. ‘Shozuru’ is a Japanese verb meaning, to produce, to come out or to arise. 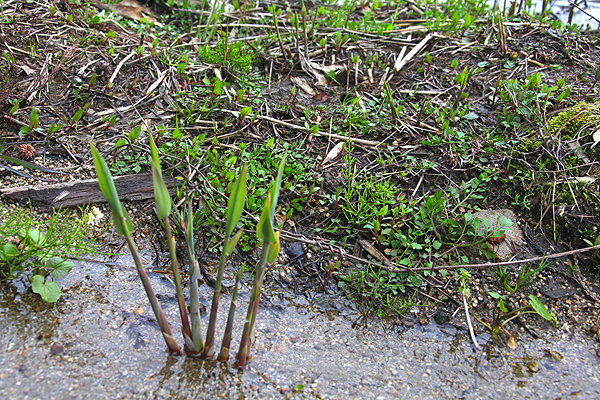 Therefore, the meaning of the whole phrase would be; Yoshi – the common reeds start to sprout out for the first time. Among the withered, dry, tall Yoshi of last year, you would find thin and short fresh-green new Yoshi sticking out from water at this time of the year if you have chance to go near the river, pond or lake sides. The scene of reflecting sunlight with short fresh Yoshis sprouting is already an image of early summer. Carrying Yoshi on horse backs. A scene of Suruga, in Edo period, now Shizuoka prefecture. Drawn by Hiroshige. 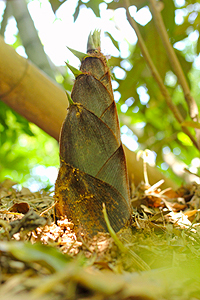 ‘Takenoko’, a bamboo shoot coming out! Like Yoshi near the water, you will find many bamboos growing where there is little nature in Japan. Most of them that you see in the nature are grown wild (or left grown wild), used as a timber from ancient days. Like in other Asian countries, the Japanese have been eating its’ shoots from long, long ago as written in KojikiW, the book of oldest extant chronicle of Nara periodW. At that time, most of the bamboos were ‘Madake (Japanese Timber Bamboo)’ which we see them now used as bows, baskets, fans, tea whisks used in tea ceremonies and many other daily goods. It can be eaten but has slight bitterness compared to other edible bamboo shoots. 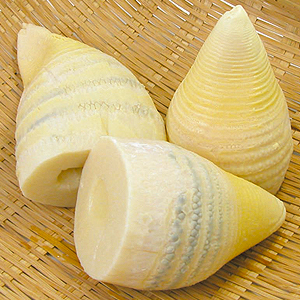 The bamboo shoots which we eat most is the shoot of the Moso bambooW which is said to be brought into Kaiinji Temple that was located in Nagaokakyo, KyotoW by Shingon BuddhismW monk, Doyu, from China after his Buddhism studies. There are several more legends on how the Moso bamboo came into Japan but the reasonable answer to how this bamboo spread wide in Japan was because the Satsuma DomainW imported the Moso bamboo through their monopolizing trade with Ryukyu KingdomW, traded it all over Japan. Takenoko, after boiled in soda water before cooking. Going back to the subject of bamboo as a food, its shoots are dug before it sprout totally, usually when only its tip showing a little (about 1cm to 5cm) or even not showing. The experts of bamboo shoot-digging would identify where the bamboo is about to sprout only by the small rise of the soil on the ground! The best bamboo shoot is said to be of those from Otokuni District, KyotoW which is used in luxurious Japanese restaurants all over Japan. 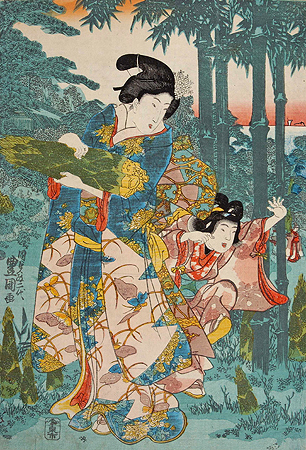 A wealthy mother and her son enjoying ‘Takenoko-hori’. 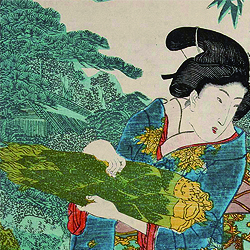 She looks as though she’s dressed up in wrong kimono for digging Takenoko…. The bunch of Takenokos she holds seems too grown for eating to us…. Or does she like the harsh taste? Like the Shiohi-gari of the spring sea, ‘Takenoko-hori (bamboo shoot digging)’ is a spring leisure which has been enjoyed by the people who live near the mountains and forests with bamboos. There are now several places where sightseers could enjoy this event without taking their own hoes which many of us don’t have if you are living in cities or from abroad! It would be one of the things you could enjoy doing in the countryside while you are here at this time of the year. By the way, we are planning on ‘Takenoko-hori’ this week! Please look forward for our report on it. Beautiful served delicious looking ‘Takenoko-gohan’, Takenoko steam-cooked with rice. A popular seasonal dish of spring in Japan. Photo from Harubiyori by Haru-san. 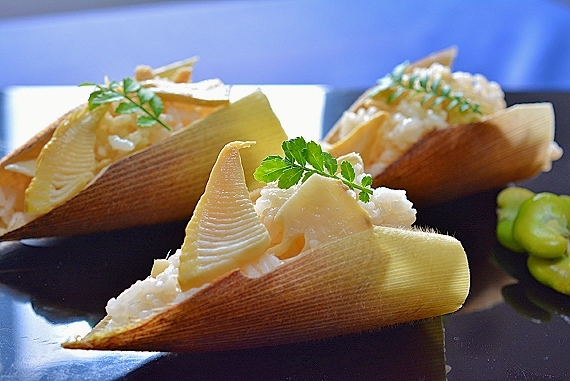 Bamboo shoots can be eaten raw like sashimi-sliced, broiled in Katuo stock, fried and steamed together with rice as ‘Takenoko gohan’ which is a famous spring dish. You could read in our Seimei, Shokou page, on the ‘Leaf bud of Japanese Pepper (KINOME)’ article where cooked Takenoko is tossed in Kinome-miso. Finally, if you have chance to cook Takenoko by yourself, be sure to get rid of the harshness by boiling it with water left over from washing rice or soda-added water for more than 10 minutes.